What a day for Rhubarb Crumble Cake! With the UK facing the #brexit reality, the PM has quit, a member of the Opposition party resigned every hour (12 resignations 11 resignations and 1 sacking at the time of writing), Scotland is looking to break away from the UK and/or veto the UK leaving the EU, the Leave campaign has been exposed as being ahem, ‘not always truthful’ with their campaign promises fibs and the Leave campaign champions, Tweedledee and Tweedledum, (Boris and Gove) are nowhere to be seen. As for the Chancellor – he’s classed on social media as a missing person (perhaps just holed up writing his resignation speech). Worryingly there’s now talk of leaving the Single Market to boot. It’s hard to see the positives with so much turmoil and the leaders are nowhere to be seen to calm the rising storm. The exception to this is Nicola Sturgeon who seems to have a plan, for Scotland. One positive so far is that Article 50 hasn’t been sent and may never be. With all this drama unfolding it seems that today was a day for lots of knitting, tea and some cake. Enough of the politics and here’s the cake. It tasted great, made with greek yogurt instead of butter too. There’s a couple of rhubarb plants in the garden and being creative with rhubarb recipes can sometimes be a little tricky. Rhubarb Crumble is easy enough and really needs a good custard to cut through the tartness of the rhubarb, a preferable Autumn/Winter pudding rather than one served in June, on a politically apocalyptic afternoon. There’s already a couple of bags of rhubarb in the freezer ready for Winter puddings and the fresher red young stalks deserved to be shown off in the form of a Rhubarb Crumble Cake today. Use baking parchment to line a 20cm cake tin. In a mixing bowl add sugar, flour, baking powder and salt. Mix together. Mix in the eggs and Greek yogurt until smooth. Fold in the rhubarb to create a thick batter. Pour into tin and smooth surface. For the crumble topping stir together sugar and butter until smooth. Add the flour and cinnamon and mix until the mixture is like breadcrumbs. Sprinkle the mixture on top of the cake. Bake until a skewer inserted in the center comes out clean, about 45-55 minutes. Released today – our latest collection of studio specials. Yes, we’ve been having a tidy up and found quite a few one off pieces that we discount at checkout by 10%. There is only one of each of the needle holder designs that have been released today. Available to fit 4mm or 5mm needles, simply slip over a pair of single point needles to keep them together and the knitting from falling off. Here’s our favourite, despite being a gemstone, this little number reminds us of those chewy sweets…you know the ones! Motivation can sometimes be hard to come by, especially on those larger projects that perhaps have a monotony of rows. Our progress markers can help you to see just how much (or how little) progress you have made in whatever time frame you select – hour, day, week, month etc. Just clip to your most recent knitted or crocheted stitches and watch the marker travel south* as you knit away! With a wide range of designs, there’s a progress markerfor every project and in our collection some of our best selling designs are featured. Choose from a police box, seahorse, unicorn, turtle, bird, owl, Don’t Blink, and WIP sweater on the needles and more. Our progress markers can really help every project, from a toe up sock to a cardigan or blanket. Just clip and go! Progress markers can also be used to mark rows and specific stitches. Of course we love to see our markers in use on Instagram, Facebook and Twitter, so why not follow us and tag us in your images with our markers. You’ll find us under AtomicKnitting on Instagram and Twitter and AtomicKnitting1 on Facebook. Also included is a special progress marker for breast cancer charity with 50p from every marker sold going to Cancer Research UK. With your help we’ve raised over £720 for Cancer Research and our fundraising page is here. 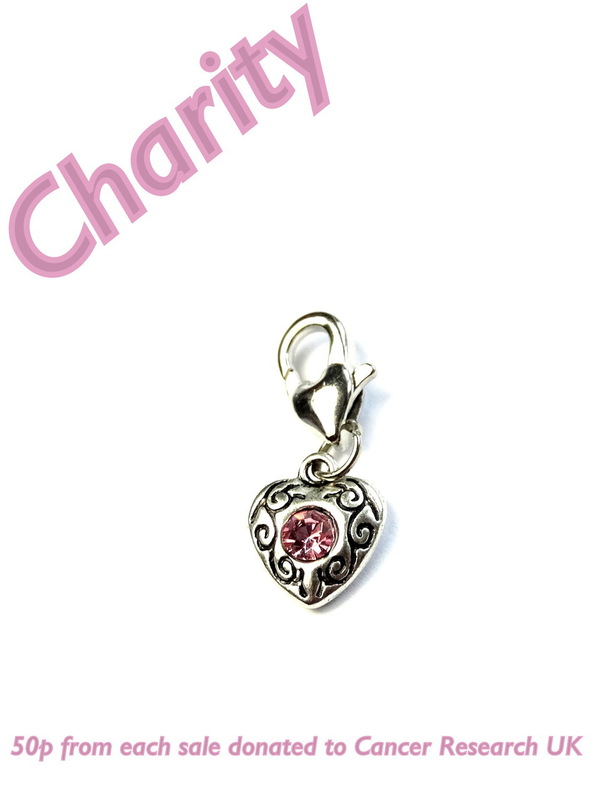 Prices range from £0.99 to £1.45 depending on the design. Our unique designs are only available on our website.